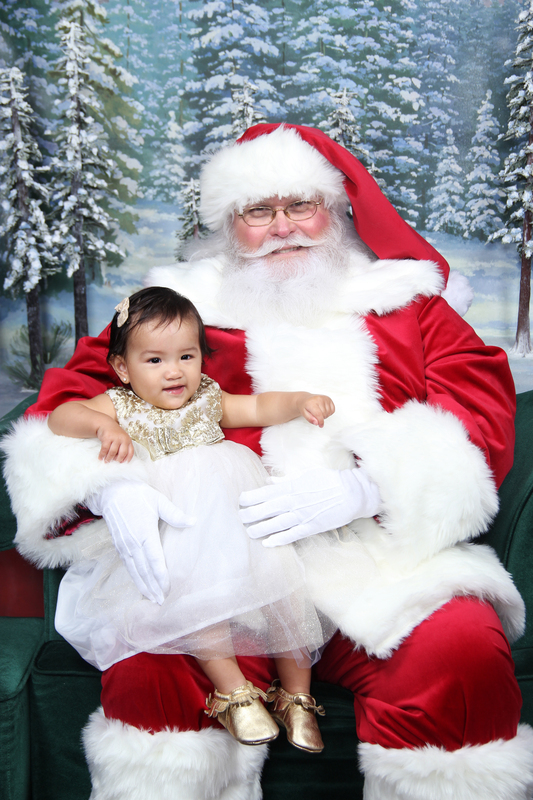 I decided to beat the crazy lines by having Huntley meet Santa right after Thanksgiving. I dressed her head to toe in gold and I thought this dress I had found a while back was just perfect! 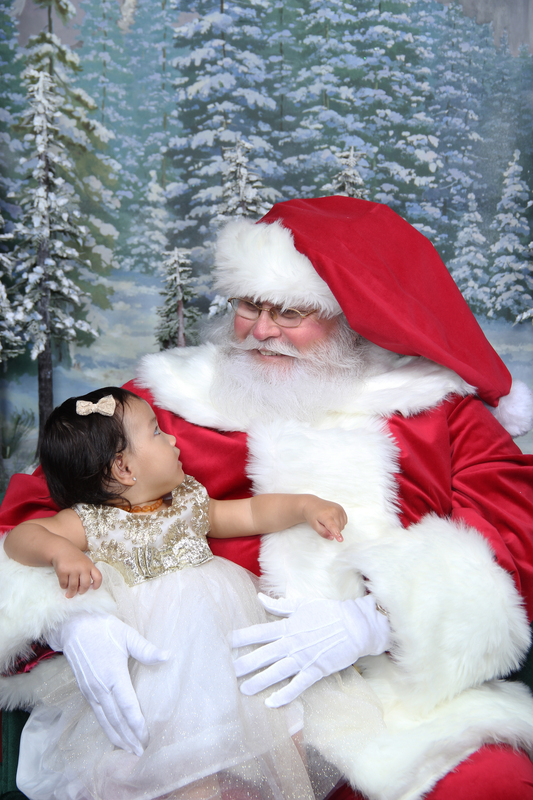 I wasn’t sure whether Huntley would be glad to see Santa or whether we would be going home with the classic crying baby photos. Luckily her first visit left us with one smiling photo as she was still unsure of what she thought of the whole ordeal. Anytime after that day, if she saw another Santa, she was not happy!